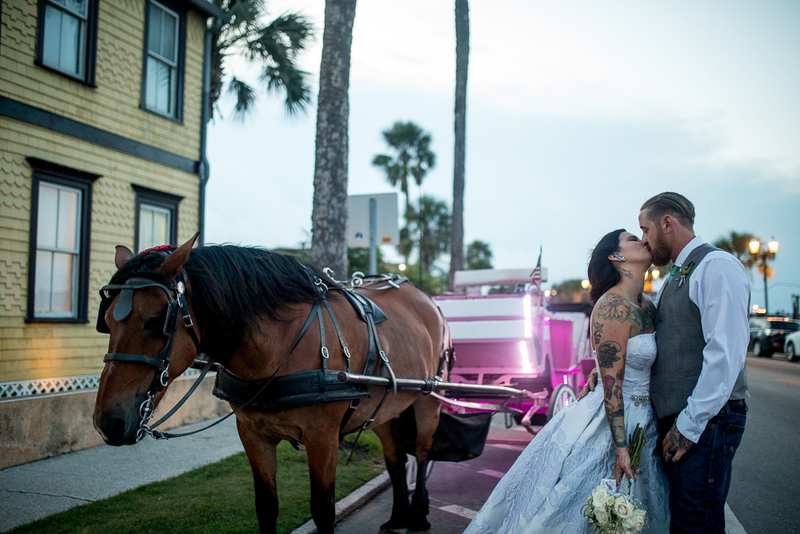 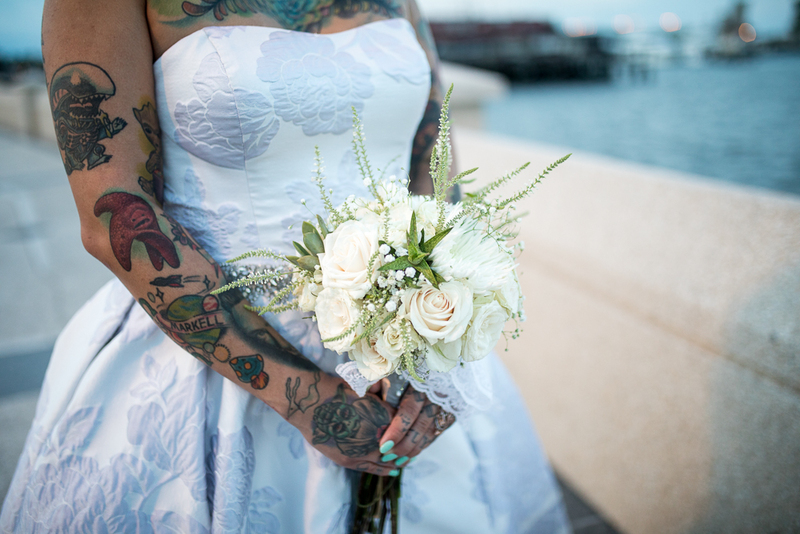 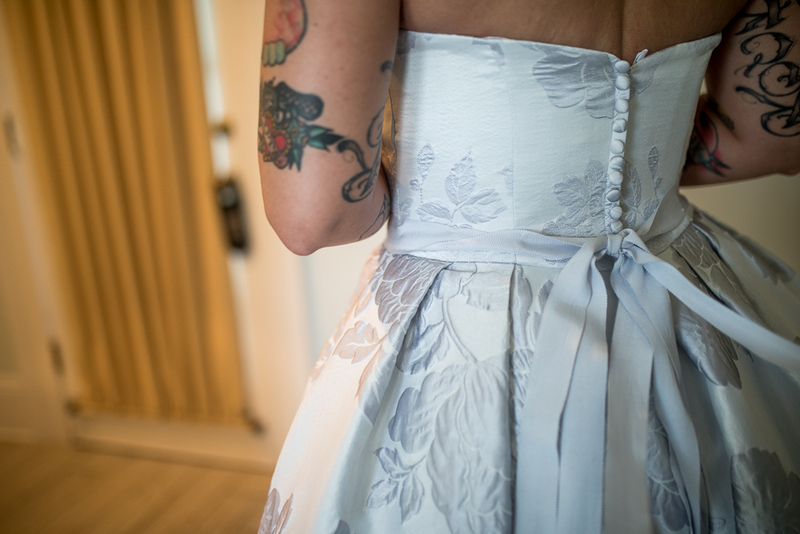 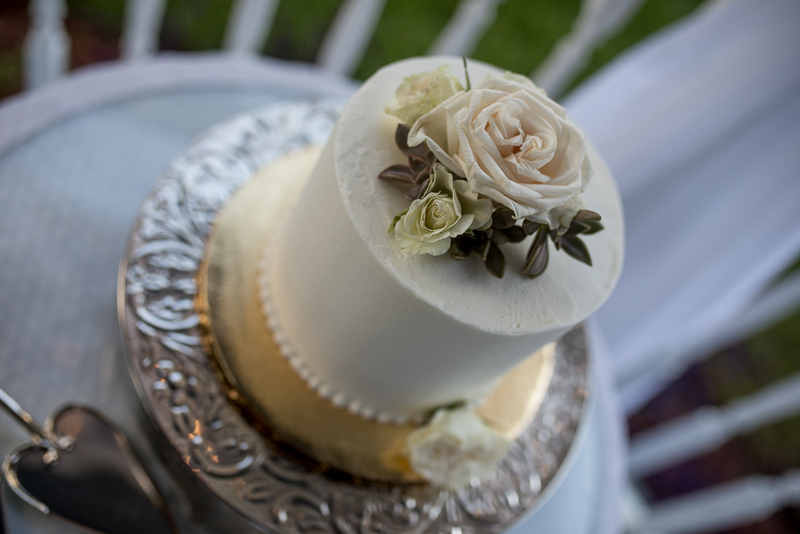 Bayfront Marin House Elopement in Historic St. Augustine. 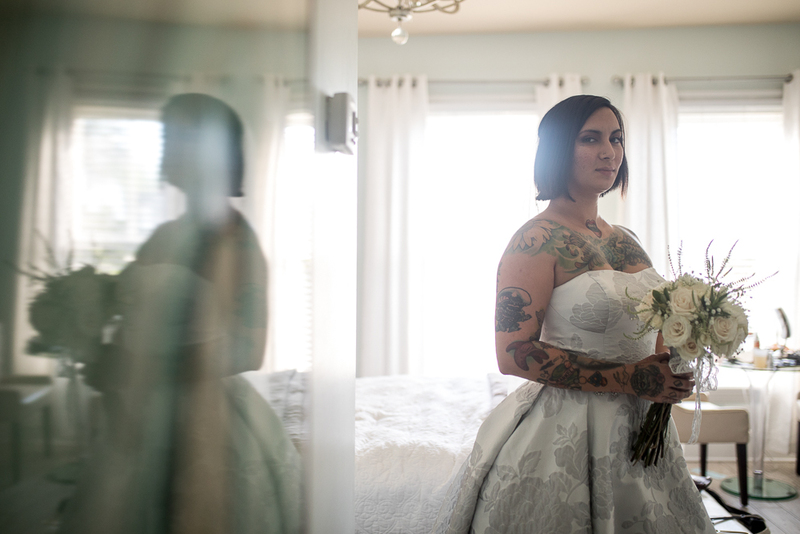 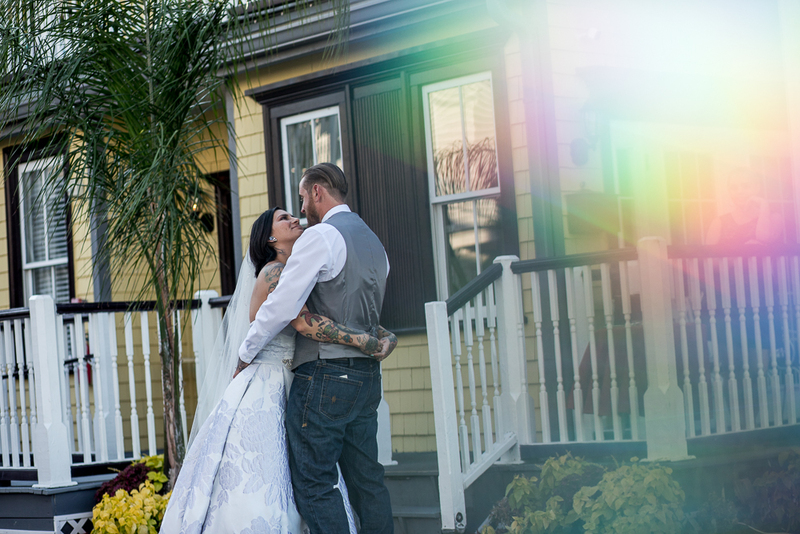 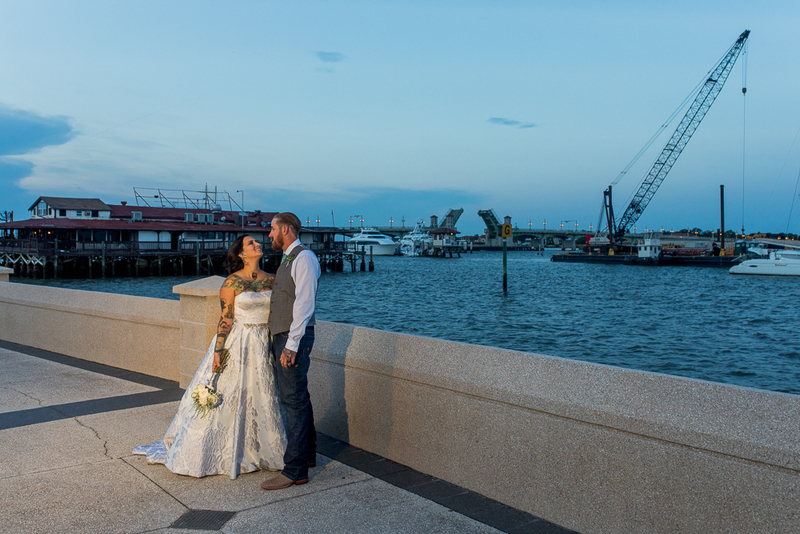 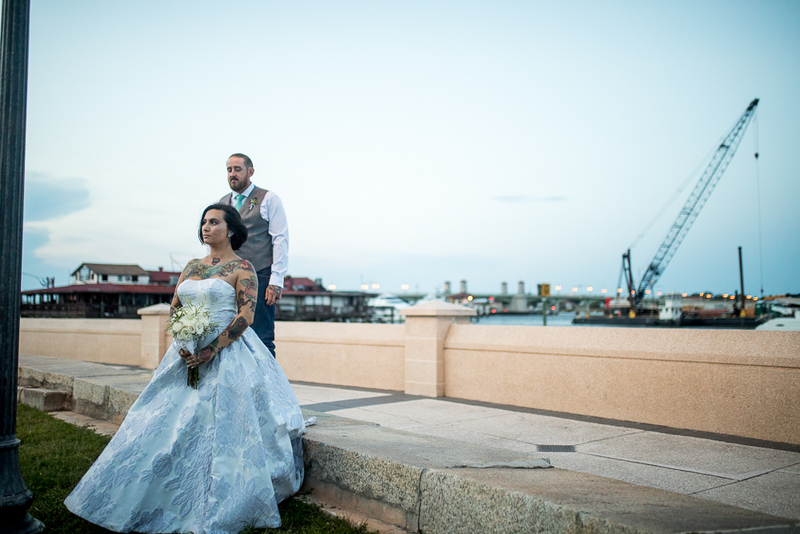 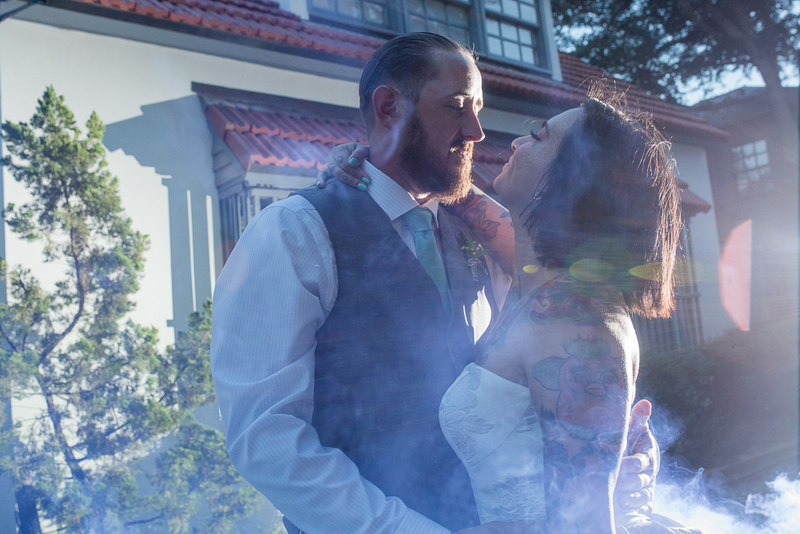 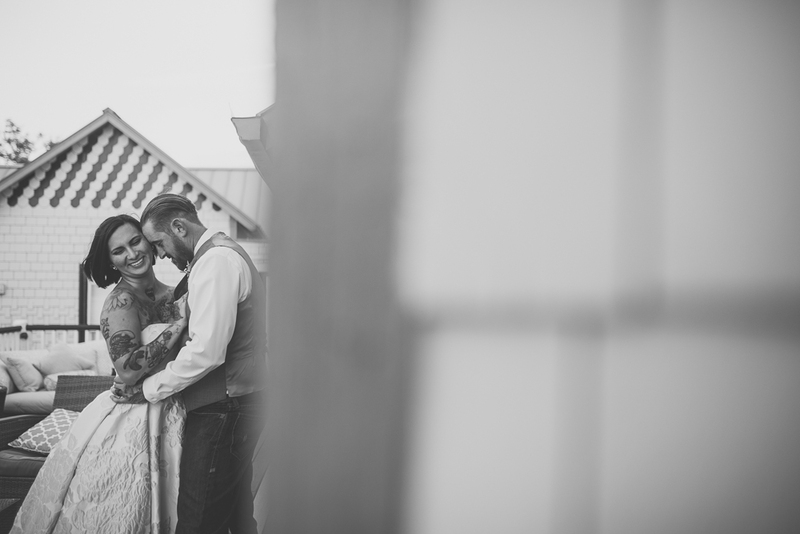 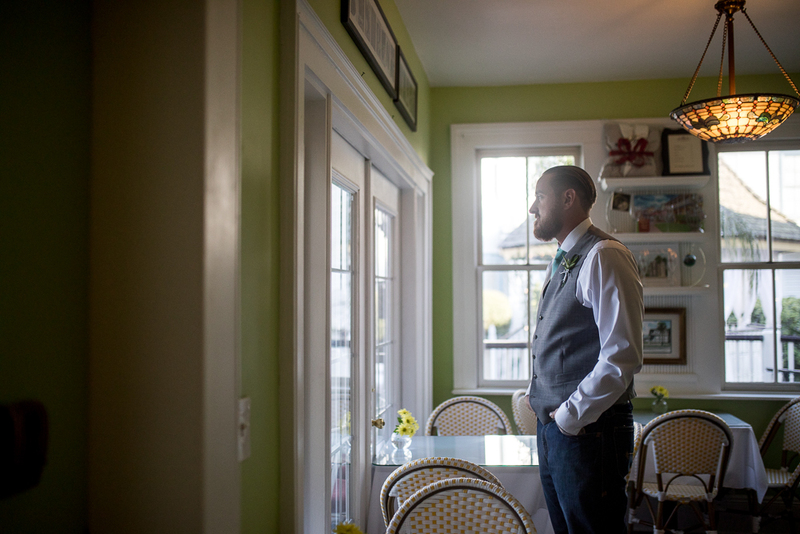 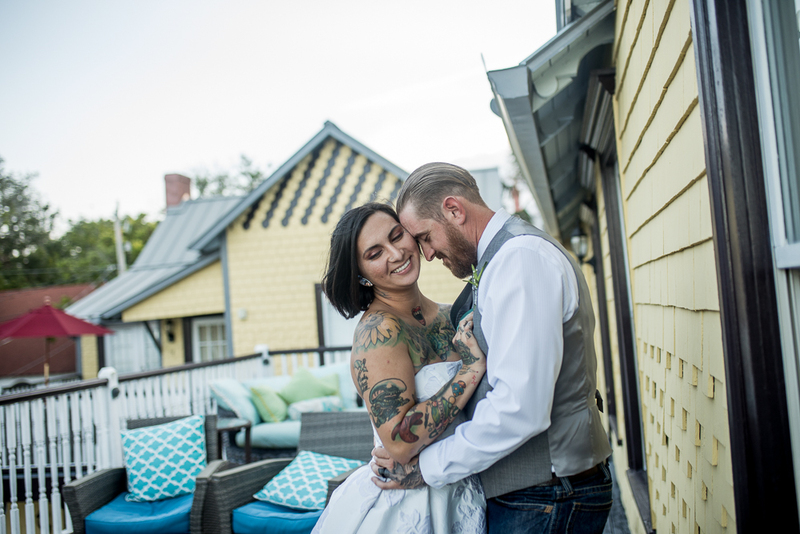 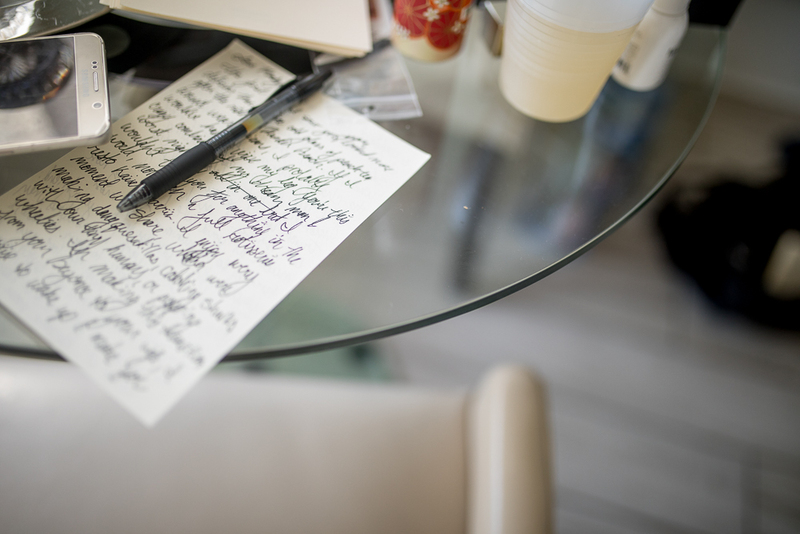 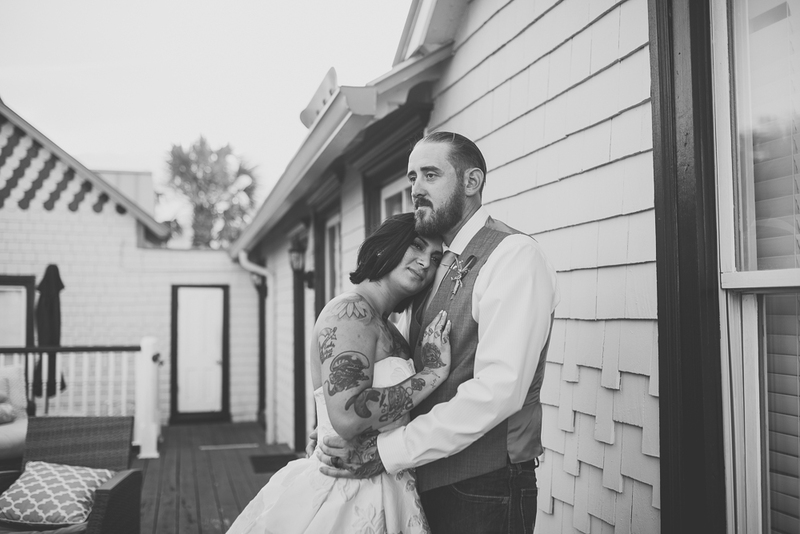 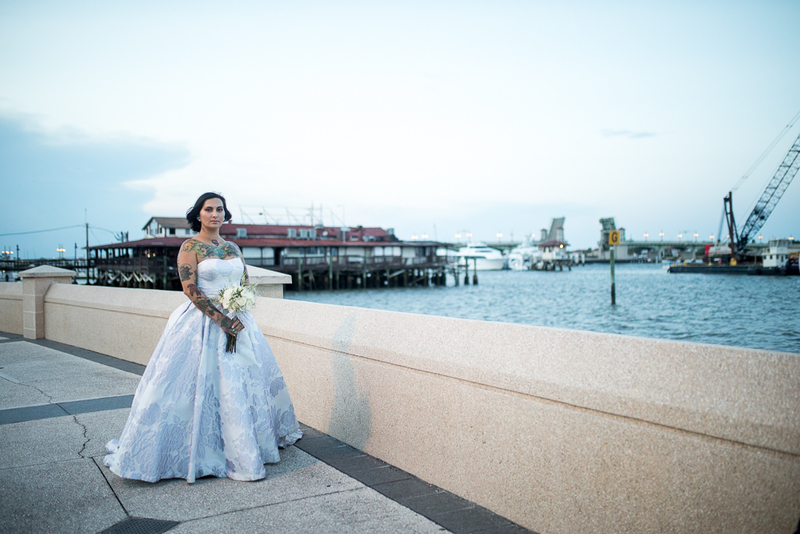 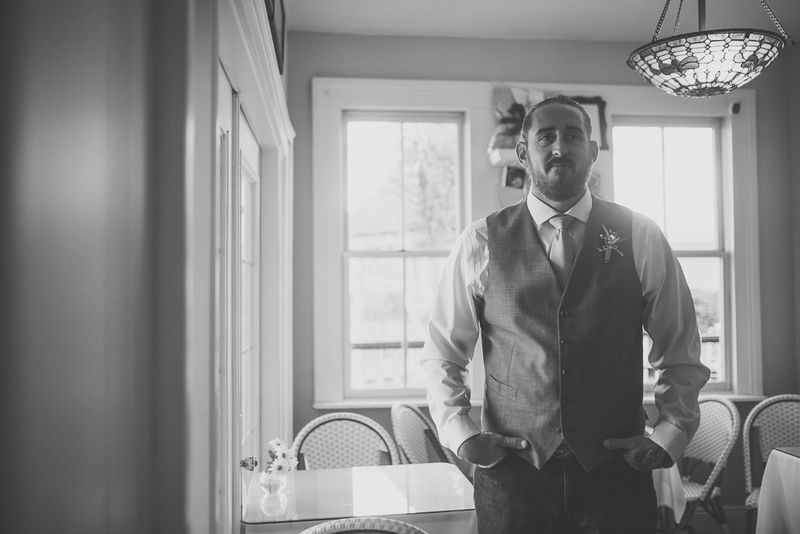 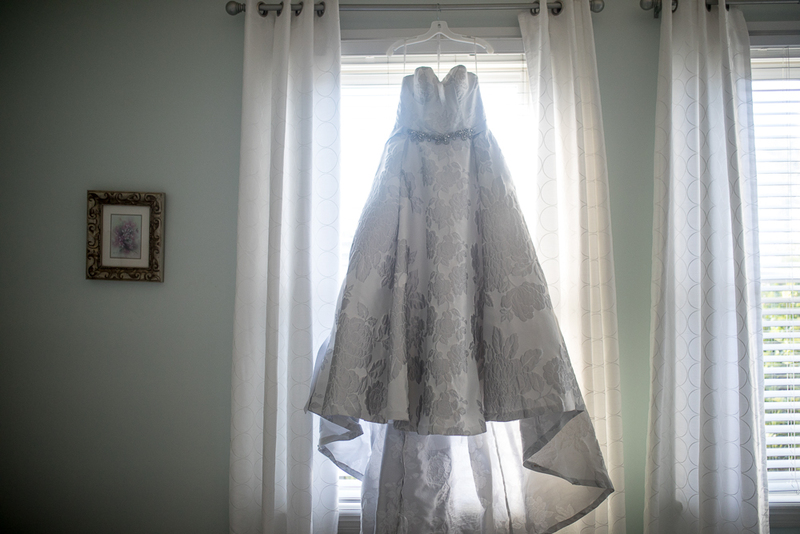 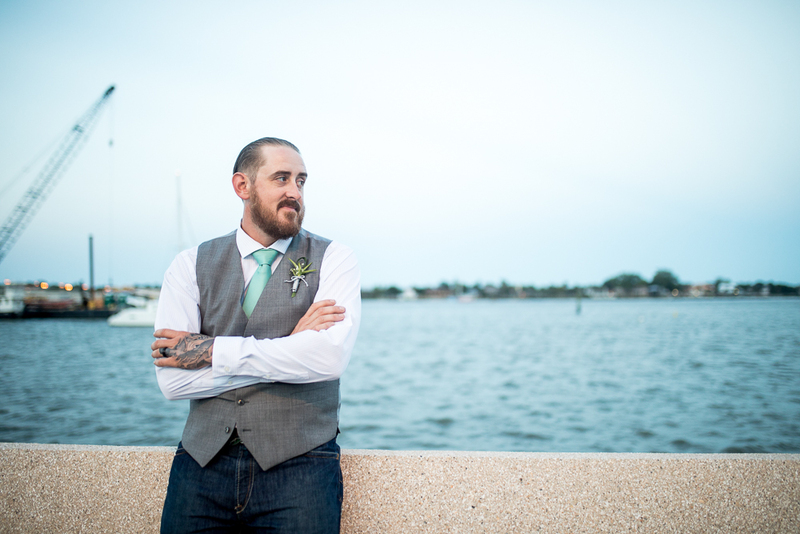 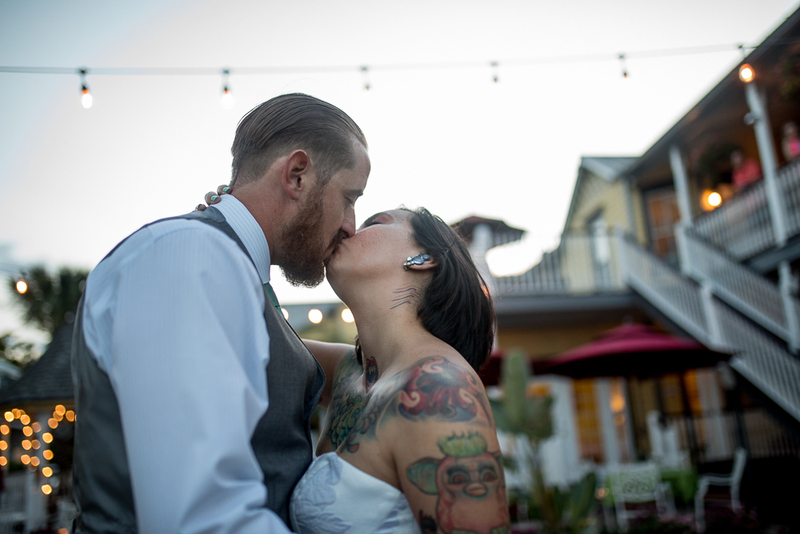 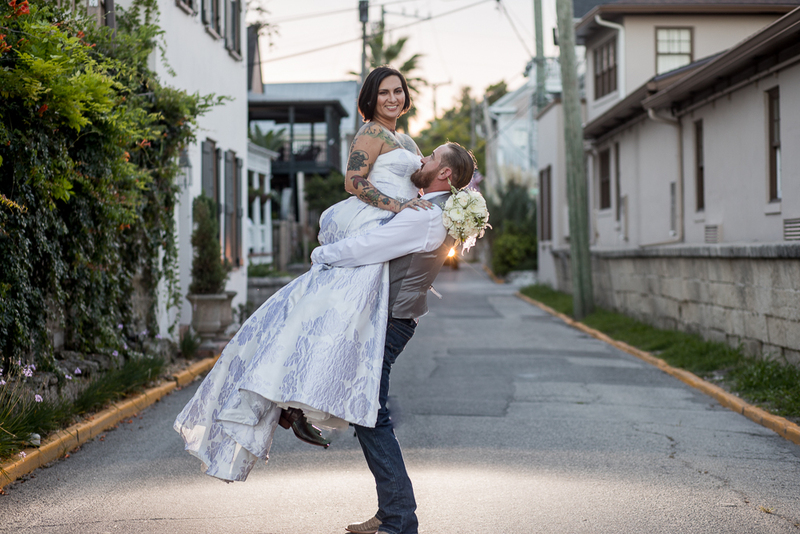 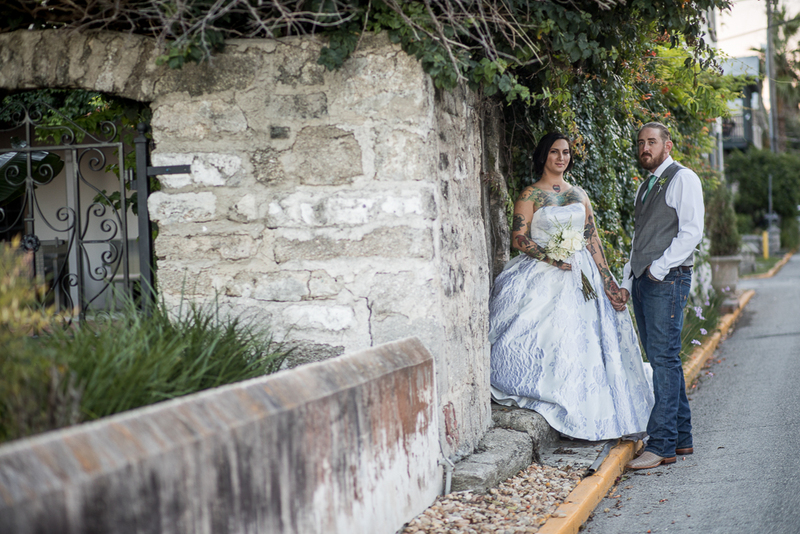 The Bayfront Marin House Elopement in Historic St. Augustine was perfect for Lorilei and Alex. 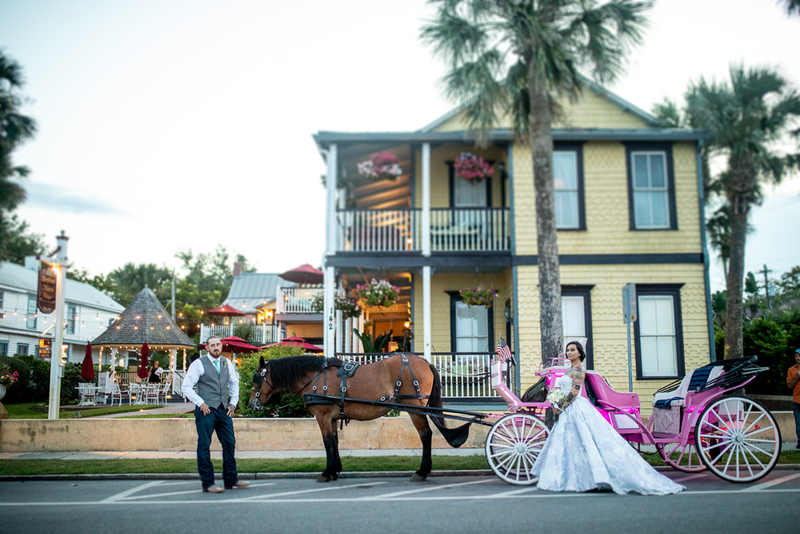 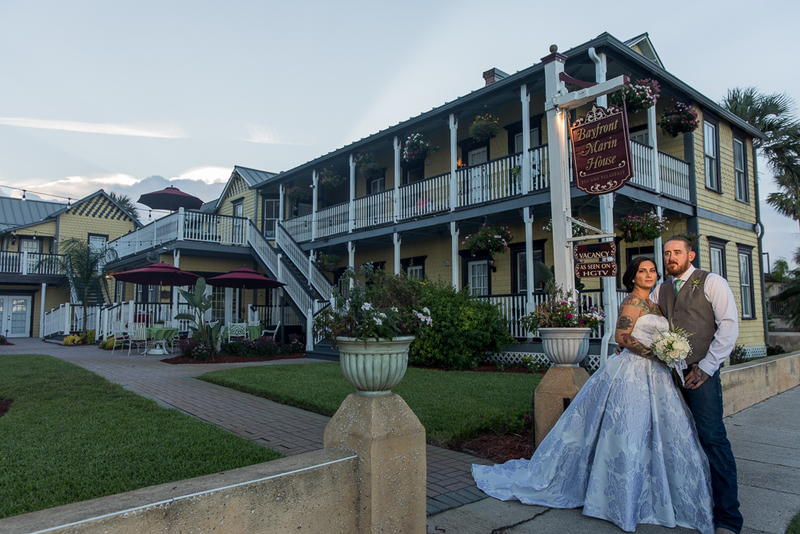 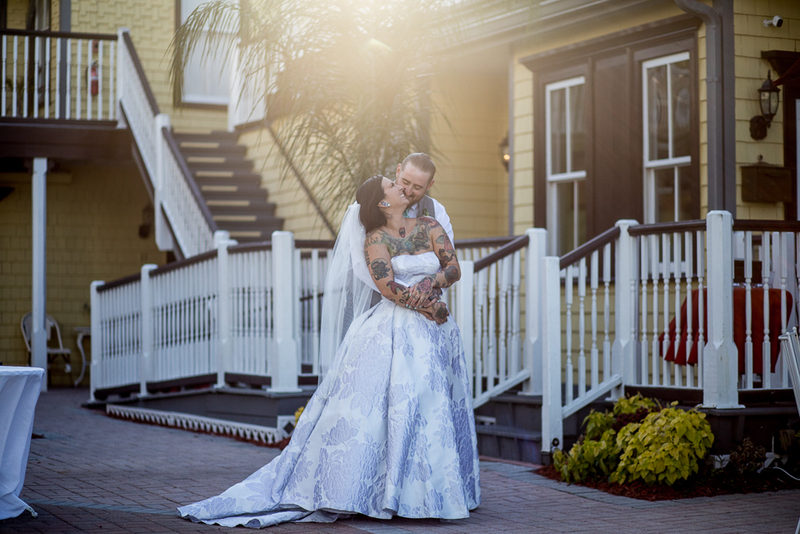 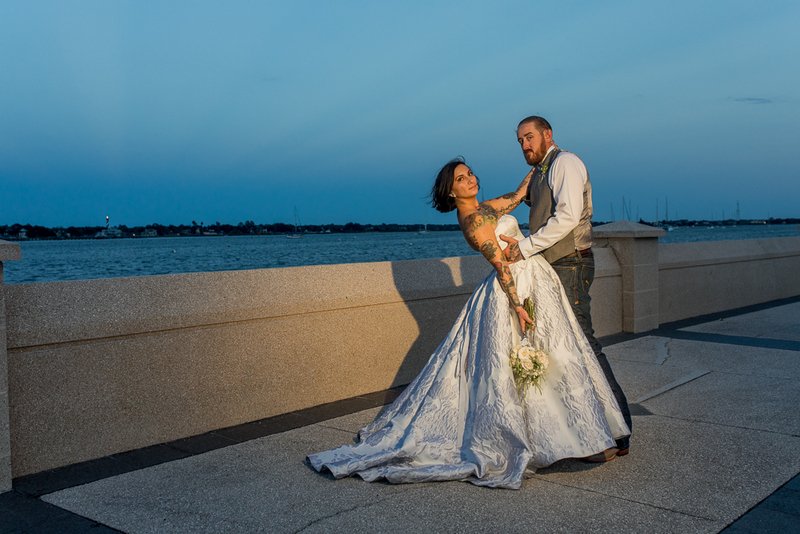 Yes, you can elope in St. Augustine and it will be a magical experience as you can see for Lorilei and Alex at the Bayfront Marin House. 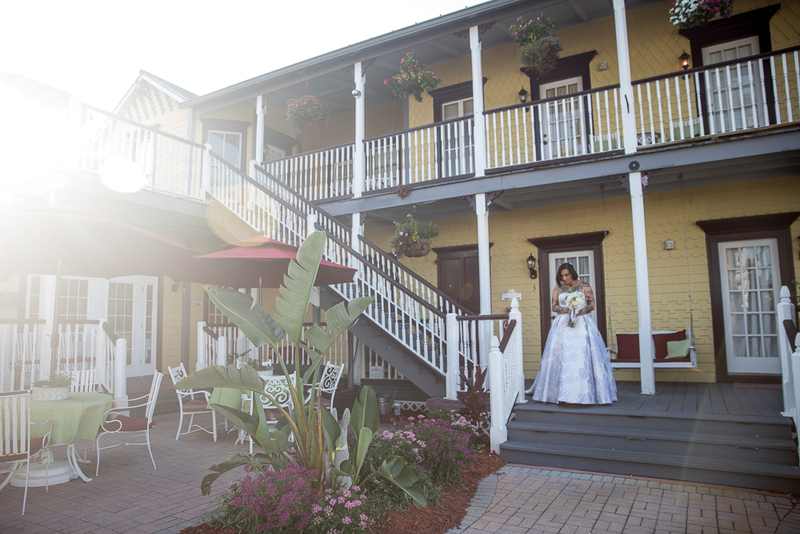 I am really loving the Bayfront Marin House. 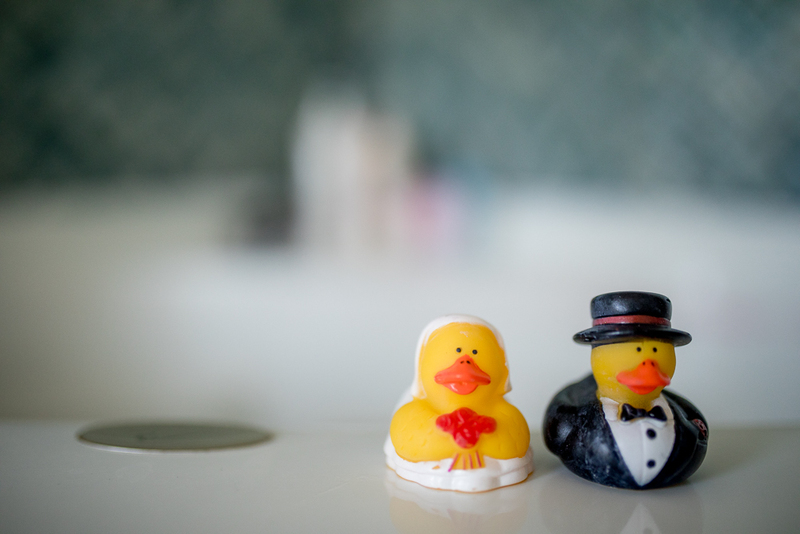 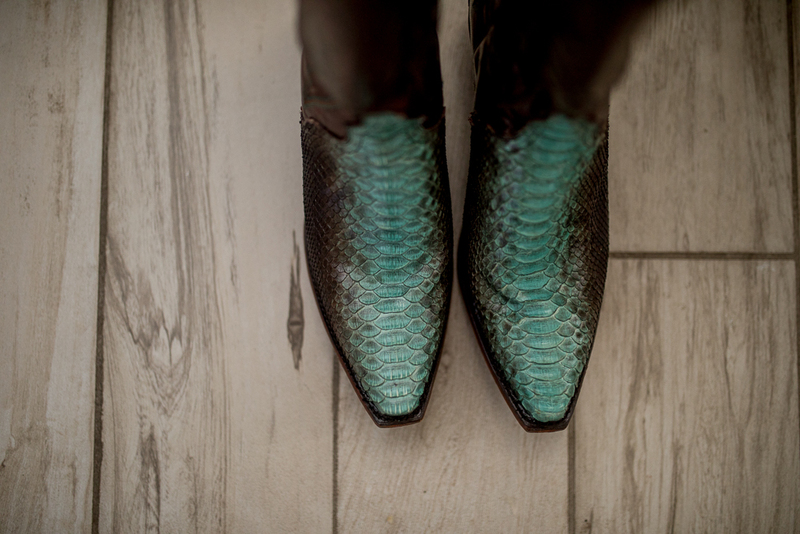 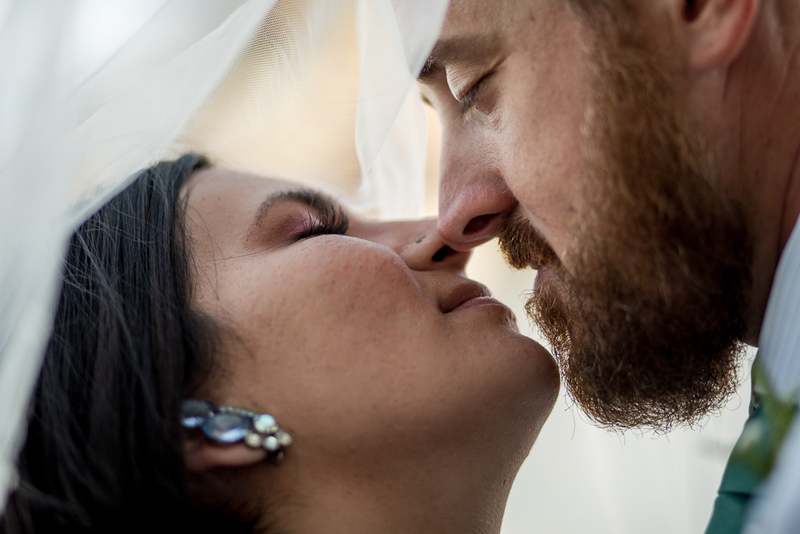 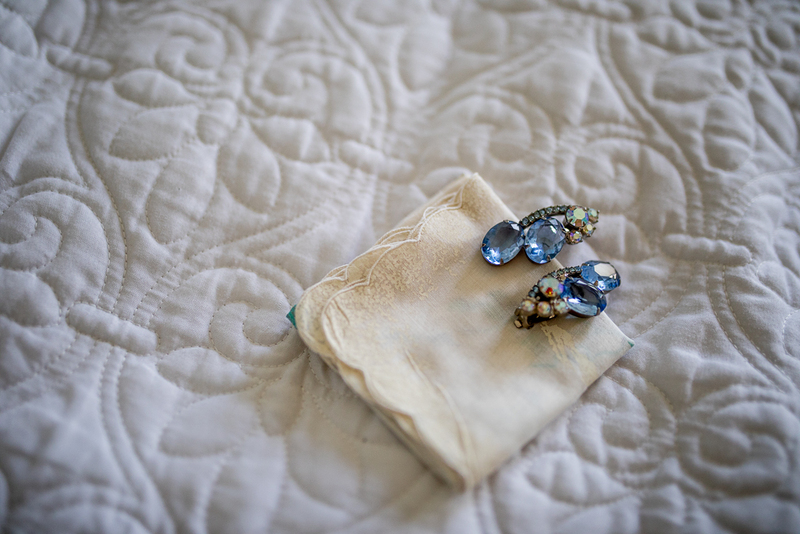 Lately the weddings that I shoot there are small elopements and they couldn’t be more perfect. 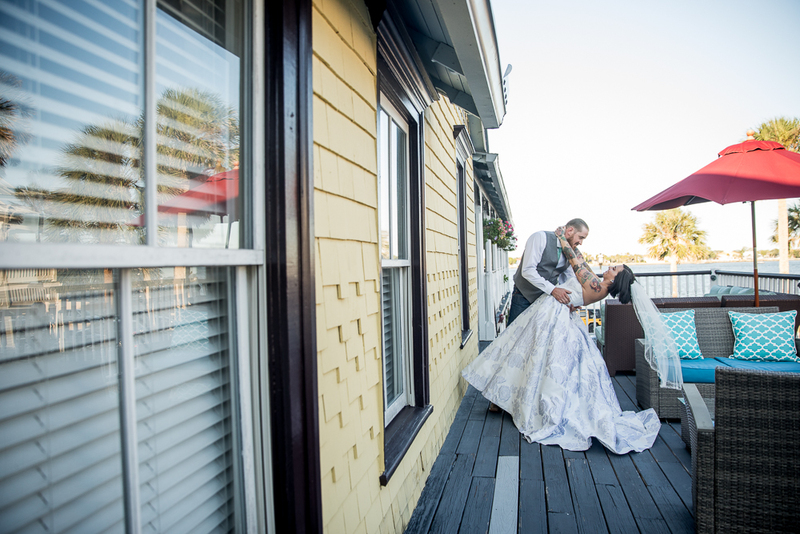 The Bayfront Marin House accommodates every newlywed is such a sweet at home manner. 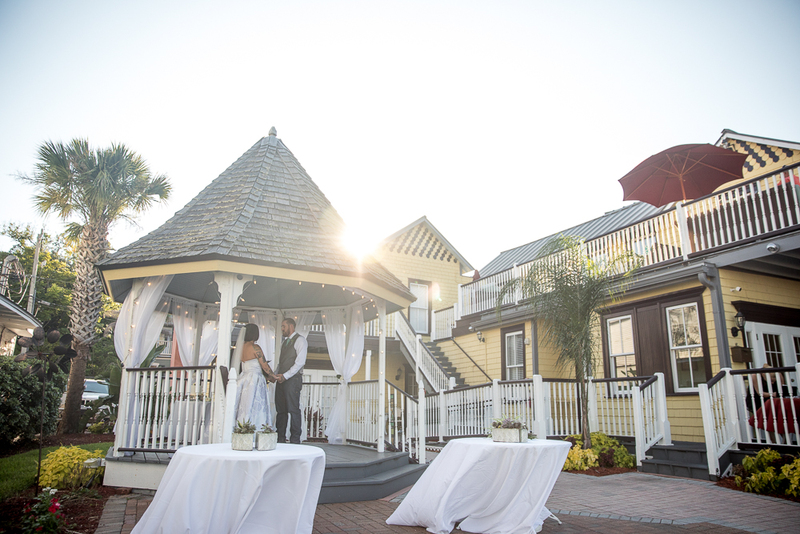 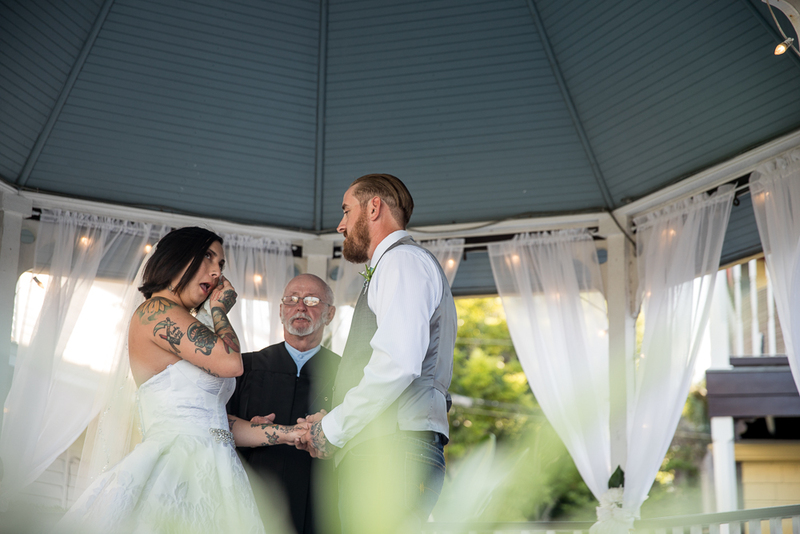 Normally the elopements there are so small that there is no need to have extra guests and sometimes the guests staying at the Marin House can sit outside their door and watch the newlyweds say I do in the middle of the courtyard. 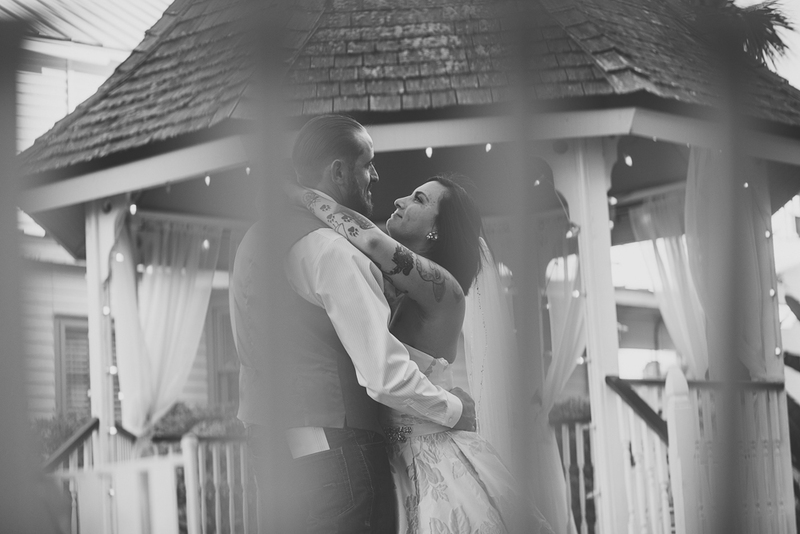 So let me talk about this wedding, because it left me so emotional and heartfelt. 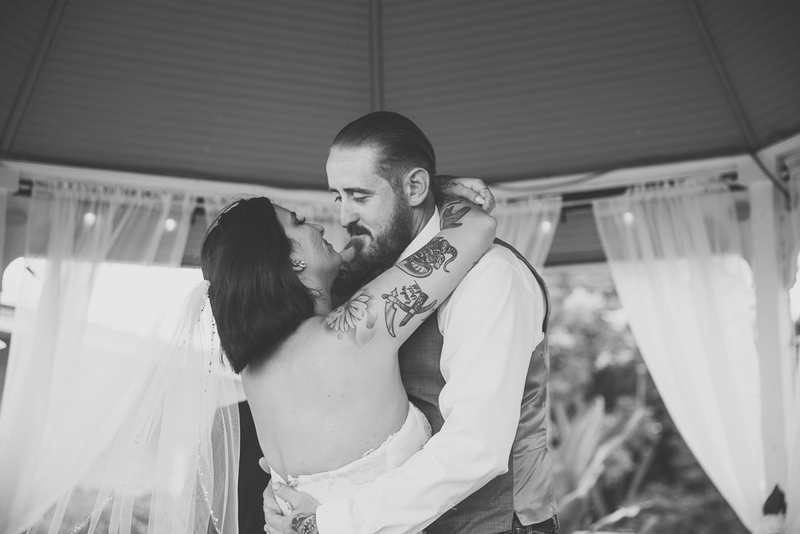 Lorilei and Alex had so much raw emotion and love for each other that it was amazing. 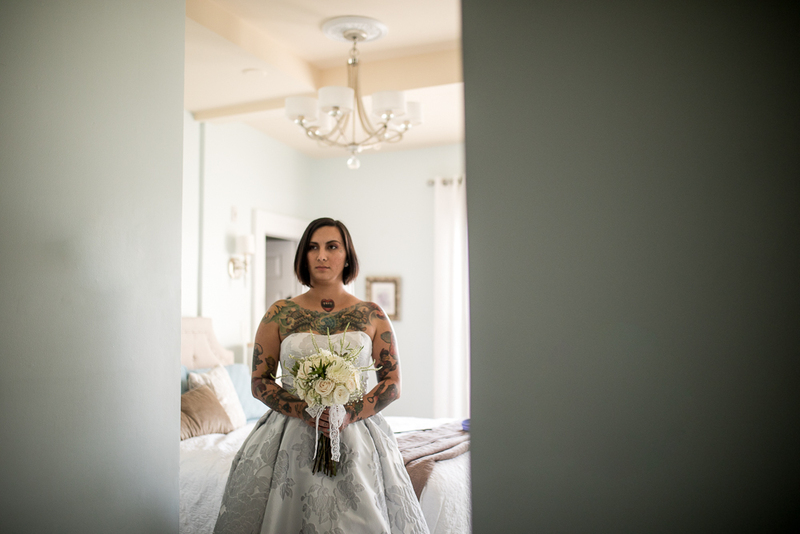 I felt extra special because I was able to help Lorilei with her getting ready process and I even got to sign as a witness! 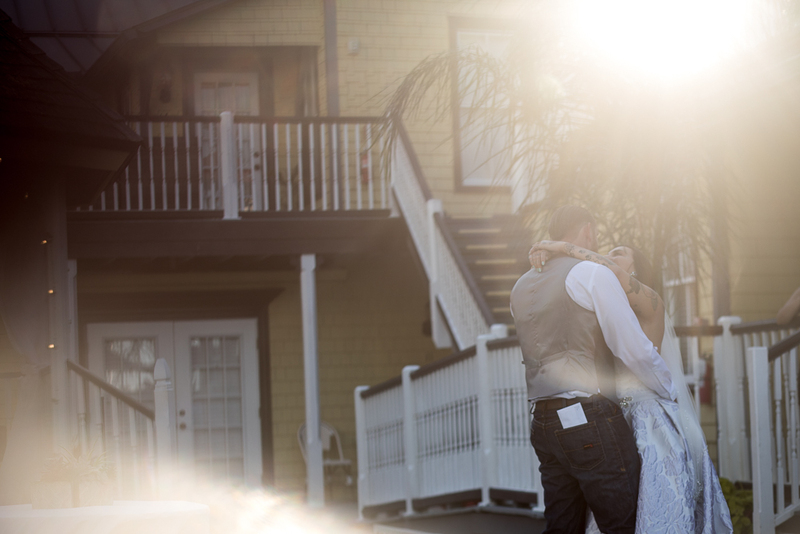 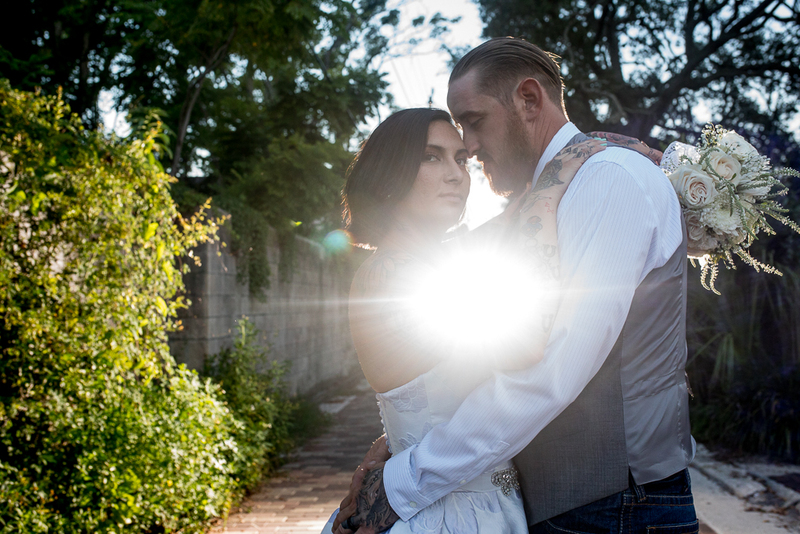 The most touching moment was when Lorilei was walking to the altar and sunshine flared up behind the building. 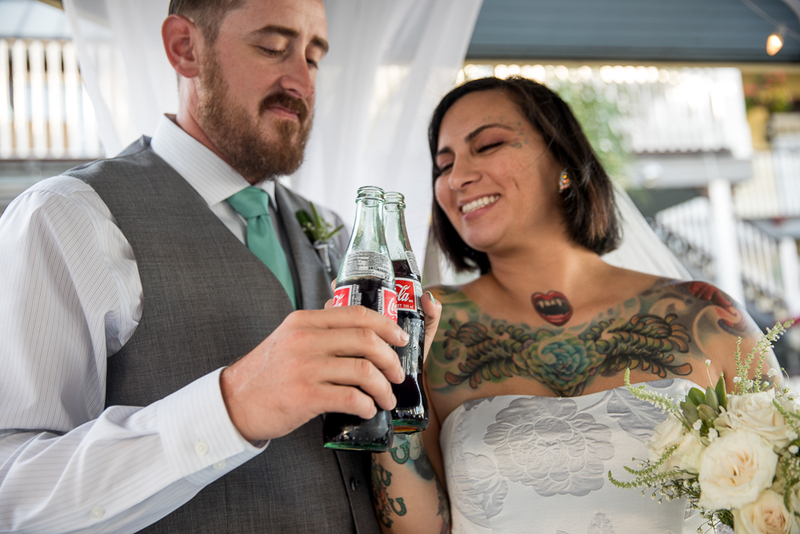 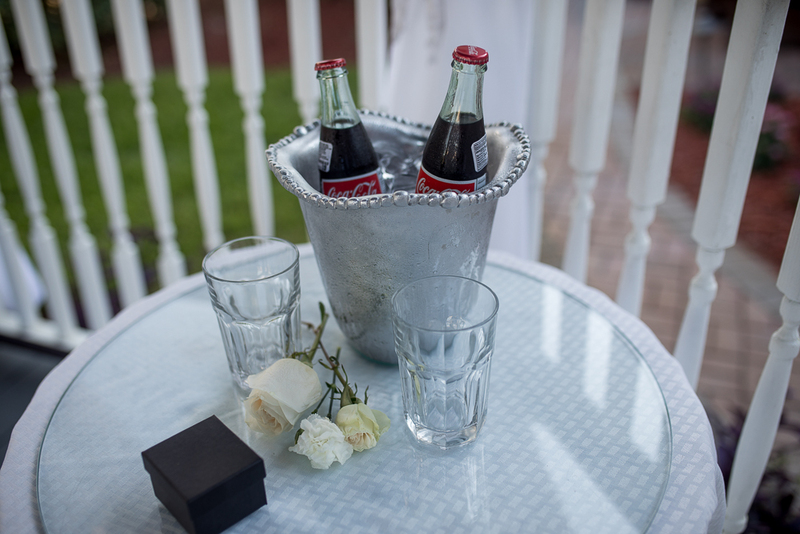 After their ceremony they did toasts with coca cola glass bottle. 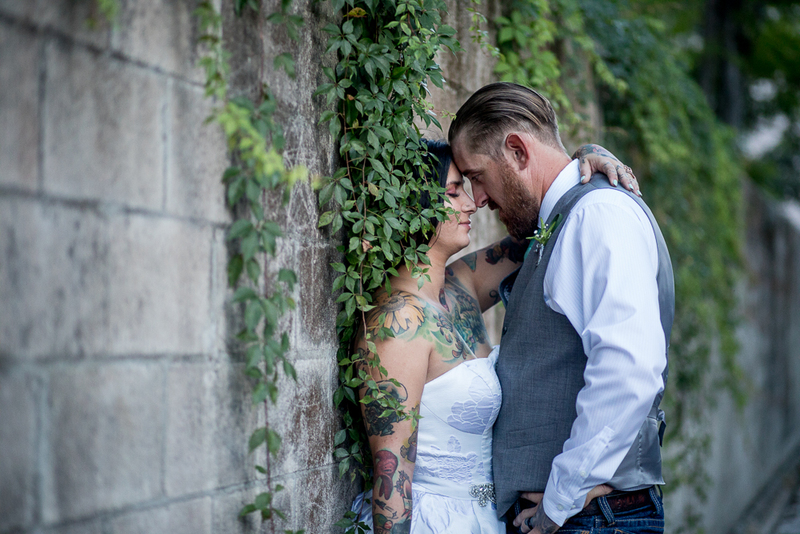 I thought that was absolutely perfect for couples that wish to not consume alcohol. 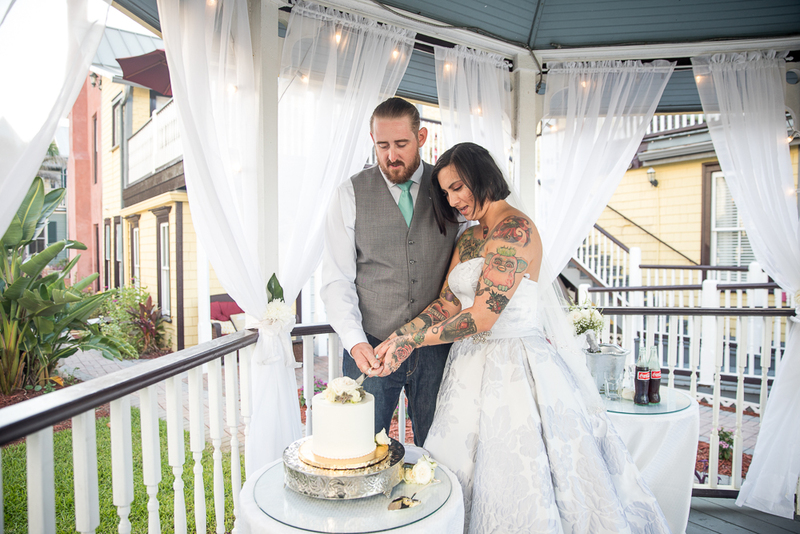 After the toasts and cake cutting they had a small first dance in the courtyard. 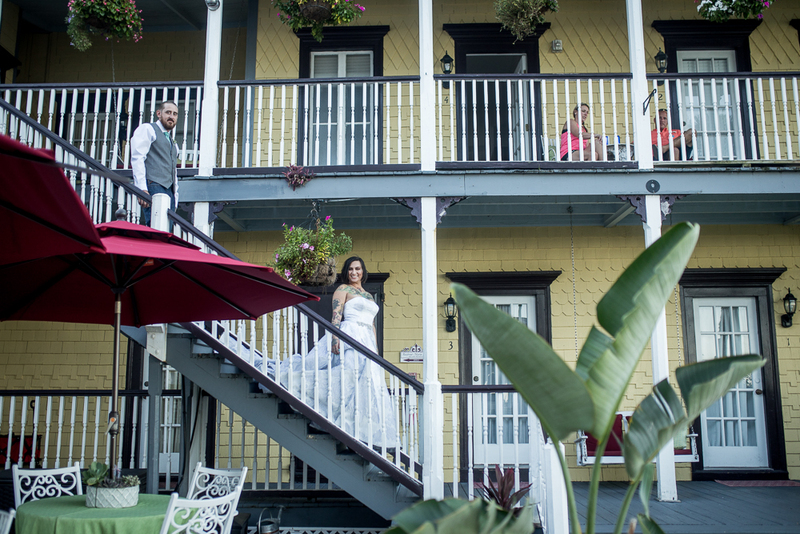 They were on looked by a couple guests sitting outside who were staying at the hotel. 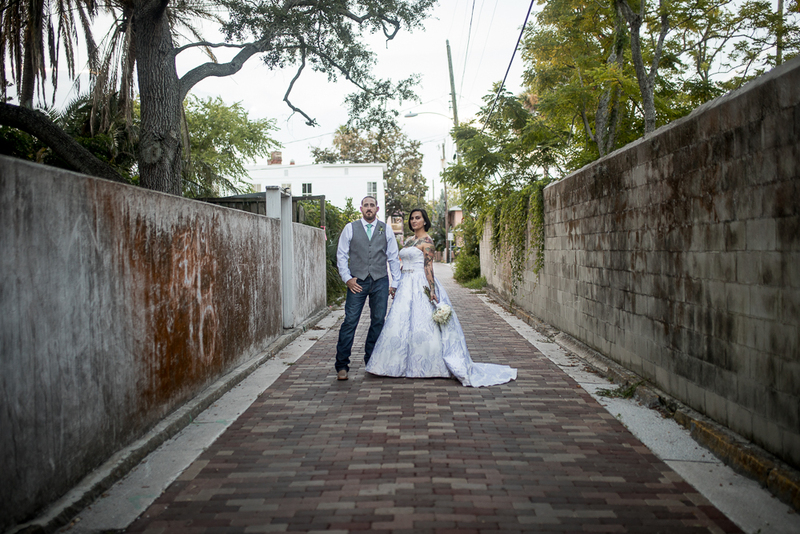 When we did their bridal portraits, we literally walking around the block and that consumed most of the portrait time. 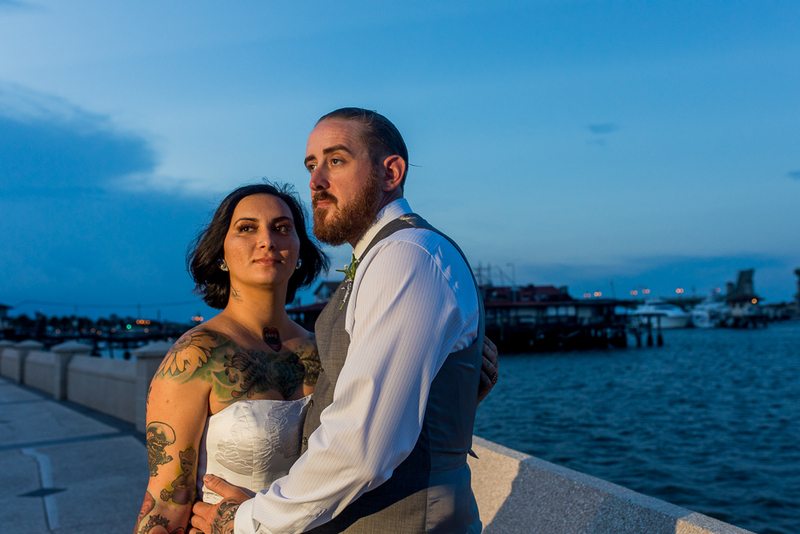 The sunset views make for the most magical images. 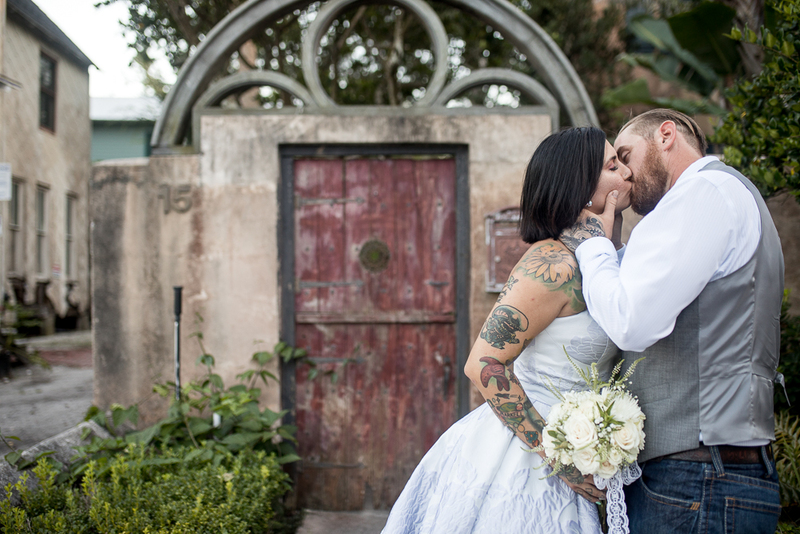 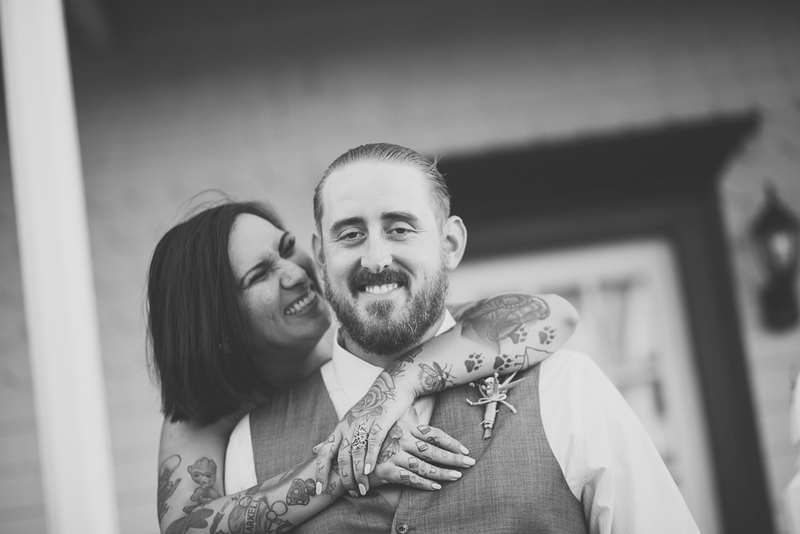 Congratulations to Lorilei and Alex on their Elopement! 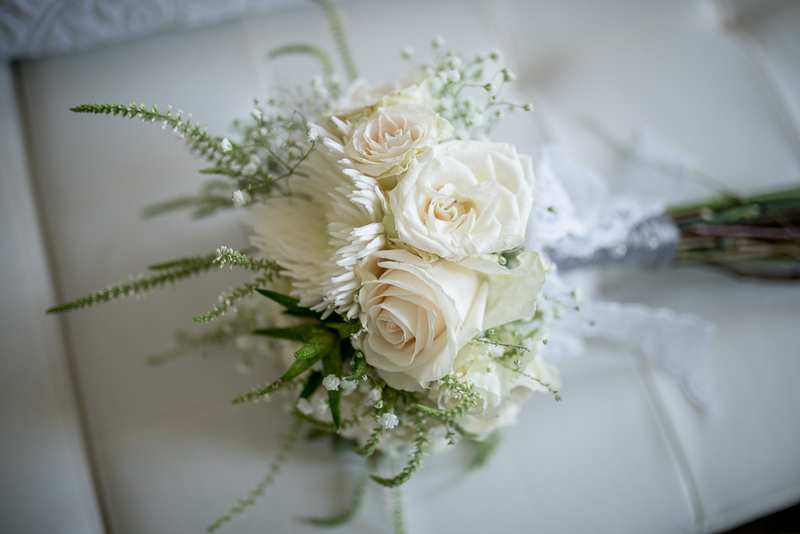 Thank you for your kind words 🙂 it’s my pleasure!